Our Toronto dentists offer a selection of oral surgery procedures to help you maintain good oral health. Your third molars, commonly known as your wisdom teeth, are typically the last teeth to erupt in your mouth. If healthy and functional, your wisdom teeth can be useful. However, in some cases your wisdom teeth may interfere with your other teeth, and may need to be removed. Wisdom teeth can sometimes become impacted, or may only partially erupt through the gum in a misalignment. This can cause swelling, pain and even infection of the surrounding gums. Wisdom teeth can also put pressure on the adjacent teeth, which can result in permanent damage to these otherwise healthy teeth and their surrounding bone. Impacted wisdom teeth can also lead to the formation of cysts, and even tumors that could potentially destroy an entire section of your jaw. Lastly, fully erupted wisdom teeth may need to be removed because they are very hard to clean, and can therefore become severely decayed. Root canal treatment is required when nerve tissue inside the teeth becomes damaged or infected. Without root canal treatment, the infection in the tooth pulp can result in severe pain, the loss of the tooth, or an abscess, which in turn can cause damage to the jawbone. You will need a root canal to save your tooth and to ensure that the tissue around the root of the tooth remains healthy and free from inflammation. There are several reasons that the inner pulp of your tooth may become irritated and inflamed, such as deep decay, big fillings, trauma to the tooth, a chipped tooth or even repeated dental work. You may need a root canal if a tooth is causing you pain or if the gums around tooth are tender and swollen. Other symptoms include discolouration and extreme sensitively to hot and cold. Nervous about your oral surgery procedure? 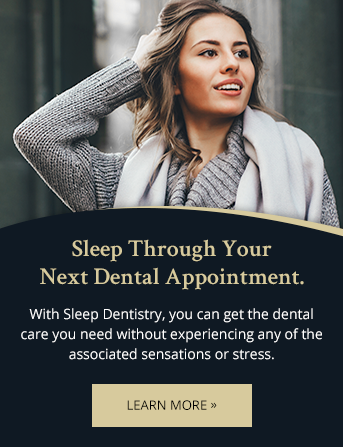 Sleep dentistry can help make it stress free. An accident, injury, or disease can cause tooth loss. Having an incomplete smile may damage your self esteem and cause oral health problems. Without a replacement tooth, the remaining teeth may shift and the surrounding bone may start to deteriorate. Dental implants can replace missing teeth and allow patients to maintain the overall health of their smiles. A dental implant is an artificial tooth root which acts as an anchor for replacement teeth. Shaped like a screw, it is surgically placed into the jawbone to secure a replacement tooth or hold bridge in place. Stable and permanent, implants do not rely on neighbouring teeth for support. They are an ideal tooth replacement procedure because they look and feel like natural teeth. Studies show that dental implants have a 95 percent success rate.